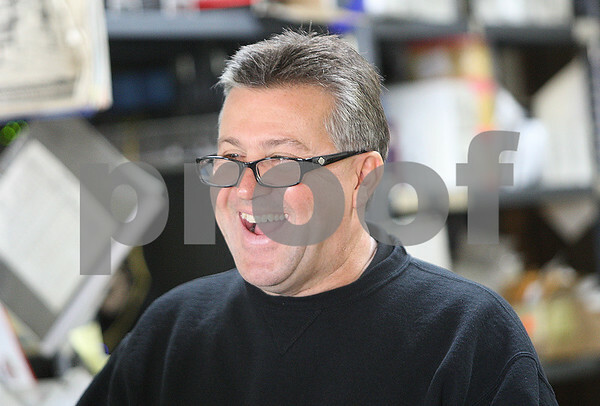 Tom Newquist, a co-owner of DeKalb Lawn laughs while talking about the snowfall this coming winter while checking out a customer who just purchased a snowblower on Monday, October 20, 2014. Newquist and Dave Henke have owned DeKalb Lawn since 1999 and it has been in the location since 1970. Newquist is against DeKalb's new city-mandated inspection process.